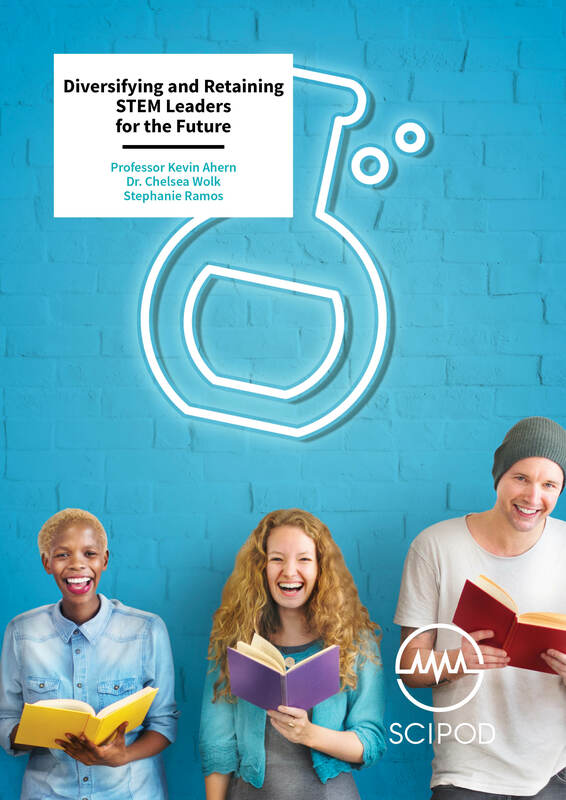 The growing significance of science, technology, engineering and mathematics (STEM) is not currently being matched by an appropriate level of variation in student demographics. Professor Kevin Ahern, Chelsea Wolk and Stephanie Ramos of Oregon State University are working to facilitate more diversity in STEM subjects and cultivate an environment that helps students persist in their studies and to pursue interests unique to each student. With our expanding dependence on technology and increasing need to combat emerging scientific problems, fields in science, technology, engineering and mathematics (STEM) are in more need than ever of a diverse intake of new students. However, many potential science students face obstacles that prevent them from pursuing their interests. Professor Kevin Ahern, Stephanie Ramos and Dr. Chelsea Wolk of Oregon State University (OSU) are implementing the OSU STEM Leaders Program that seeks to address the disparity between students willing to pursue STEM careers and those with the means to realize them. 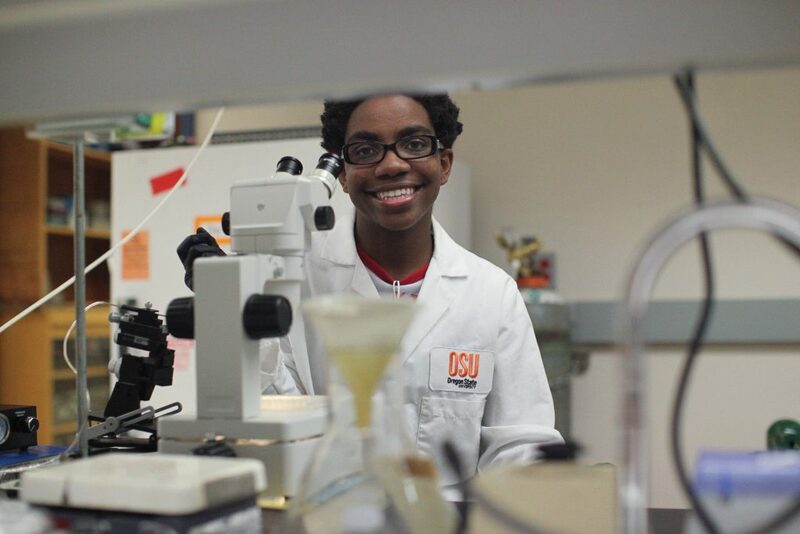 The program is designed for students from populations with historically high rates of attrition and underrepresentation, with a goal to increase the number and diversity of STEM students at OSU. The OSU STEM Leaders Program is a highly-structured STEM development program involving 276 students – 126 students supported by the National Science Foundation, 150 by OSU. Professor Kevin Ahern serves as the Program Director, overseeing the program’s operation and interfacing with students, peer mentors and faculty. Professor Ahern works with his dedicated team, Stephanie Ramos as the Program Coordinator and Dr. Chelsea Wolk as the workshop creator and Instructor for U-Succeed, a first-year orientation course that forms part of the program. ‘The OSU STEM Leaders program aims to improve the success, retention, and persistence to graduation of under-represented minority students in STEM disciplines,’ Professor Ahern explains. Through the program, Professor Ahern, Dr. Wolk and Ms. Ramos are helping students transition from high school and community colleges to STEM careers. Building skills is a priority of the program, including making use of campus resources, basic research design, processes and ethics, communication, resumes and applications. Also emphasized are academic success, student retention, career clarification, the pursuit of graduate studies, cultivating enthusiasm and professional access. The team wants to combine all of these practices into a program for first-year students and new transfer students. Intake of students into the program is filtered for eligibility. Only incoming freshmen and transfer students from community colleges are eligible to apply. The program aims to support students that are underrepresented in STEM, such as those at an economic disadvantage, or rural based, or those who are the first generation of their family in college. The program also allows for undergraduates to engage in STEM research areas. The research takes place under faculty mentorship with students presenting their research at the end of the project. Professor Ahern, Dr. Wolk and Ms. Ramos believe these opportunities for undergraduates to participate in research have previously been found beneficial to building academic skills. These faculty-mentored undergraduate research projects during the second academic quarter build on U-Succeed and the program’s workshops. Students meet individually with Professor Ahern to discuss research interests and possible projects and mentors. He serves as the matchmaker between students and mentors. Students conduct six to seven hours of research per week. They are paid US$700 per academic quarter. This is intended to reduce the number of students dropping out due to the financial pressures associated with STEM research. The research projects are supported by the grant for at least three quarters, after which students have the option to seek another funding source. Students may continue doing research for credit or support themselves with federally-provided part-time jobs. The students then meet quarterly for assessment and progress reports. Students eventually present their research to a large audience at either the STEM Leaders Symposium in January each year or the Celebrating Undergraduate Excellence symposium in the spring. Funding also allows for students’ research to be presented regionally or nationally. After their research projects, students become alumni and can apply to become peer mentors. The program includes peer mentoring, supporting undergraduate research beginning in the second term of the students’ first year and orientation in a U-Succeed course for all new students. There are also professional development workshops, providing advice for the students’ first three terms at OSU, an annual symposium for students to showcase research results and an annual retreat. Professor Ahern argues that large introductory STEM classes do not generate as much excitement as smaller, more focused seminars. The team believes that evidence suggests that socialization and connection programs have proven more successful and should be implemented more widely. The first year STEM orientation course and workshops that are part of the program have resulted in increased first to second-year retention and improved academic and social integration. The program includes a year-long cohort-based workshop series with three workshops each term (fall, winter and spring) that are attended by the students. Workshops cover a wide range of topics including: how to effectively communicate and present their research, resume and application writing, and career panels with industry leaders and expert faculty. Taking place over the autumn of the first year, the U-Succeed seminar orients first-year students to STEM. The team argues for the positive impact of STEM-focused first-year orientation courses, citing that they help students develop early, positive identities as STEM students and researchers, and that they remain in STEM disciplines. 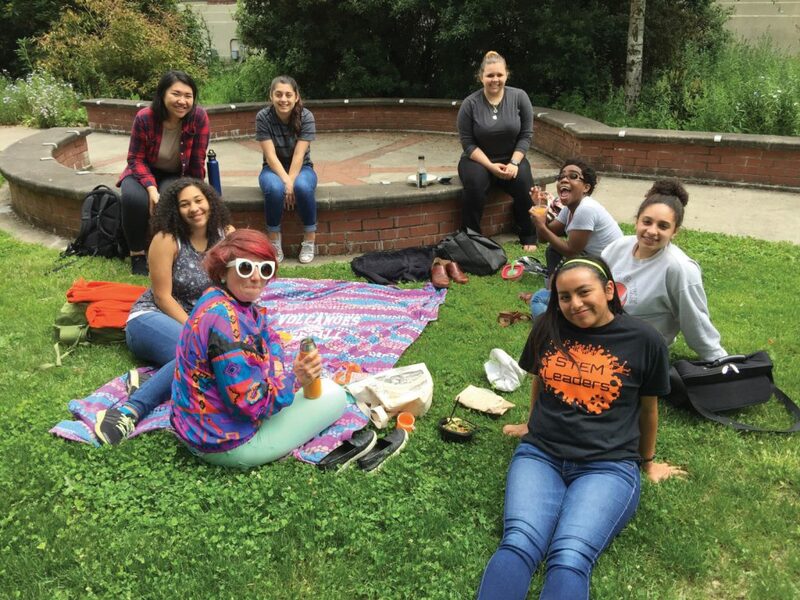 Other first-year orientation seminars have been conducted previously by OSU in the capacity of disciplines outside STEM, and it was found that student retention rates were over 7% higher for students who participated. In this project, the team wanted to create a first-year experience course that was specific to the needs and culture of STEM. They are intent on getting more students familiar with research and scientific processes. U-Succeed covers professional practices of science and engineering research, research ethics, making use of scientific journals, locating areas of interest in research, communicating with research and PI mentors and study and test-taking skills. In order to reduce ‘transfer student shock’, transfer students take the seminars alongside first-year students. This can potentially mitigate the reduction of the grade point average of a student transferring from community college to university. An effective component of the program includes one-on-one peer mentoring meetings from upper-division students as mentors. 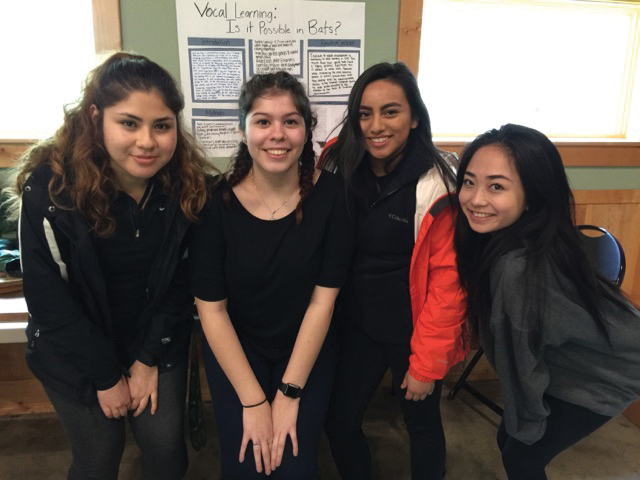 Peer mentors help students connect with tutors, advisors and financial aid, meet bi-weekly with students to discuss the program, monitor and report to Ms. Ramos about the progress and wellbeing of each student and coordinate weekly workshops. These intensive interactions are also assisted by periodic meetings with Ms. Ramos and Professor Ahern. In addition, faculty mentors agree to provide at least seven hours of mentoring per week, provide orientation to the project, monitor the work of students through regular meetings and discussion of their progress, to include students in meetings of their research groups and submit evaluation reports to the program leaders. The first cohort retained 37 of the 40 program students (92.5%) and the second retained 50 of 52 (96.2%). 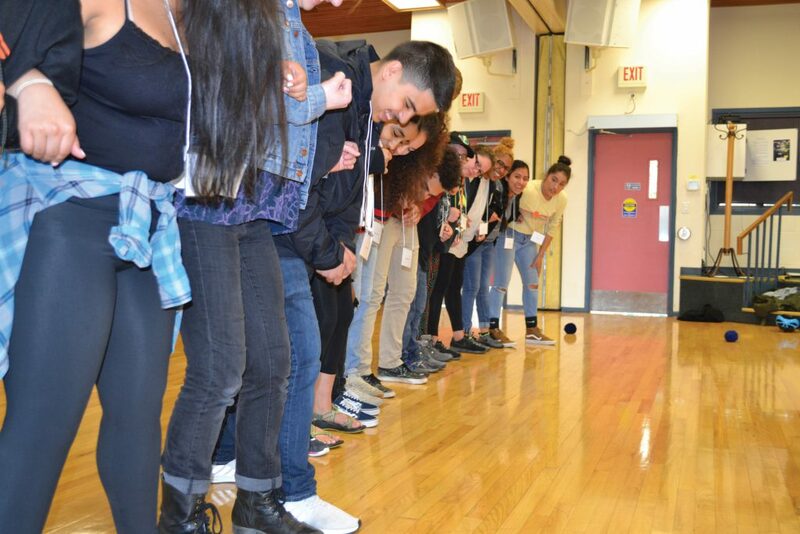 The program has also had demonstrable success in diversifying the STEM student body and aims to improve the graduation rate of students who participate. ‘The retention rate of our students completing their first year at OSU is higher than the student population as a whole, despite the fact that the majority of our students are at risk,’ explains Professor Ahern. The next steps for the work include the completion of the fifth and final year of the grant, obtaining continuing funding from OSU that will extend the program and analyzing and reporting the results of the team’s efforts for publication. In the future, the team aims to develop new materials and recruit more students from community colleges – a number that has already increased from the first two years of the program. The OSU STEM Leaders team believes their methods could be extended to other schools, other programs and other groups of students. The entire team is working to make the structure of the program highly visible, creating videos to help students worldwide learn about OSU and STEM research and careers. Videos from the workshops are produced by the program and uploaded to YouTube in order to reach a vast number of those who may benefit from being exposed to the methods being used. In this way, Professor Ahern, Dr. Wolk and Ms. Ramos are maximizing not only the direct impact of the program, but also allowing wide access to the means to achieve it. Kevin Ahern is Professor of Biochemistry/Biophysics at Oregon State University and has been a member of the faculty since the mid-1990s teaching undergraduate and graduate courses in biochemistry and serving as head advisor of the department. 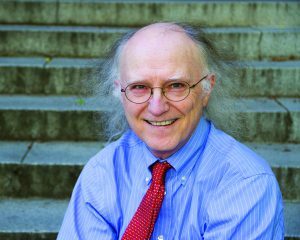 He obtained his Ph.D., in 1986 from Oregon State University and served as the university’s first Director for Undergraduate Research from 2012–2015. He is best known for his popular YouTube video lectures on biochemistry that have been watched over 4 million times by students worldwide. He has published over 700 articles and along with Indira Rajagopal, has also co-authored two popular electronic textbooks, Biochemistry Free and Easy (2012) and Biochemistry Free for All (2016), which together have been downloaded over 260,000 times. 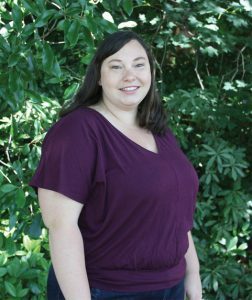 Dr. Chelsea Wolk oversees program development and instructs for the College of Science and STEM Leaders program at Oregon State University. Dr. Wolk uses impactful teaching strategies that bring professional and science experience into the classroom. With a Ph.D. in biochemistry as well as biotech start-up experience, Dr. Wolk synergizes academia and industry in her current position. She has a strong belief that learning is a lifelong process and that everyone can become an independent, empowered and successful professional. Stephanie Ramos is a native of Texas and a first-generation college graduate. She is passionate about supporting the success of underrepresented students pursuing science degrees in higher education. Stephanie is the STEM Leaders Program Coordinator at OSU and works directly with STEM Leader Program participants. Before joining the OSU, she was the Academic Coordinator for a student center at the University of California, Santa Barbara. She has a B.S. and M.Sc. in Chemistry and is currently working on her Ph.D. in Science Education. 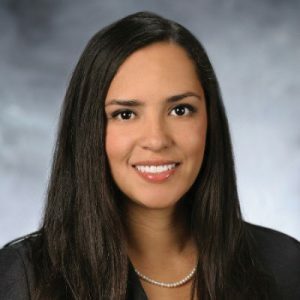 Stephanie is an Associate Member of the Younger Chemists Committee for the American Chemical Society and a lifetime member of the Society for the Advancement of Chicanos/Hispanics and Native Americans in Science (SACNAS).